Are you sure you want to remove Ein Kampf um Rom from your list? 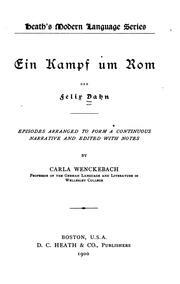 Ein Kampf um Rom: historischen Roman. 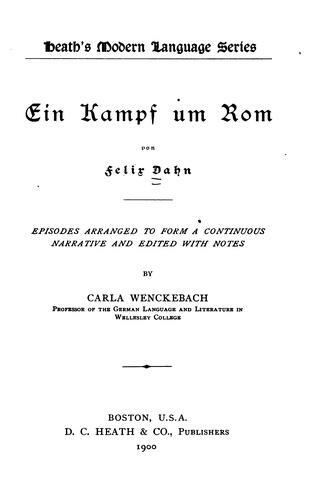 in German - 47. Aufl. 1900, D. C. Heath & co.
Microform in German - 26. Auflage.